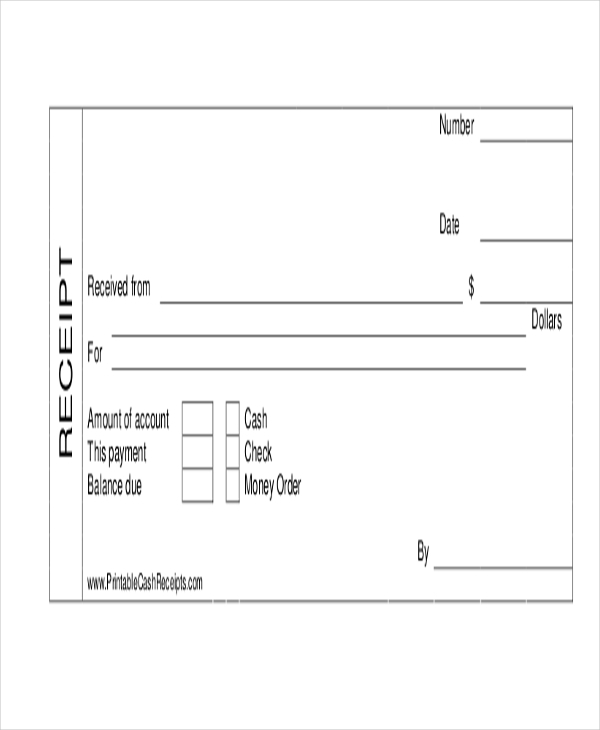 Whenever a person avails of items or services from a business, a sales receipt is usually given to that person. 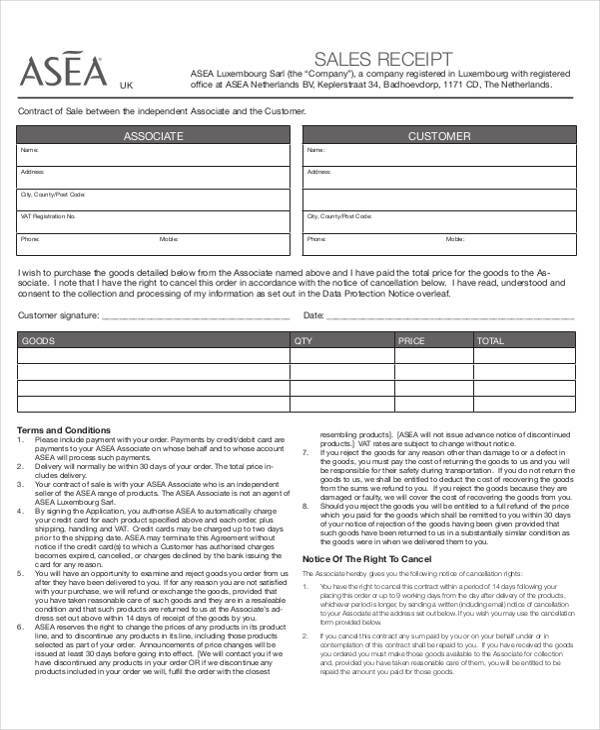 This will be the tool that serves as proof that the customer did purchase the goods/services from a specific business. This includes essential information about the sale such as the date, product(s) availed and its corresponding quantity, total price, etc. They serve a number of purposes such as taxation, refunds, and reimbursements. 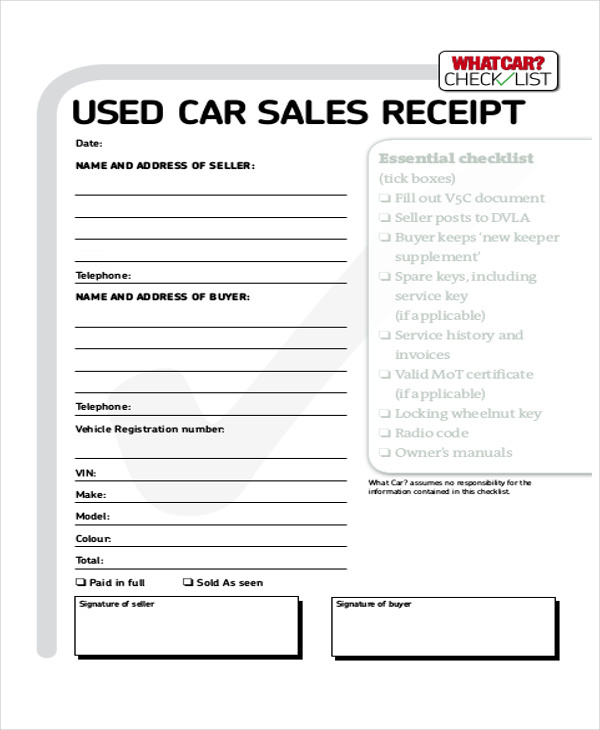 Here we give you seven Sample Receipts that you can use as a guide for making your own sales receipt. Check out all of the samples we have for you and pick the one that you like best. Usually, the first thing that you will see is the company information. This will most likely include the company’s logo, name, address, and contact information. On the right upper hand corner, you will see a receipt number. This a unique number that is assigned for every issued receipt. Below the receipt number, you will be filling out the date of the transactions. Make sure you write the complete date (month, day, and year). Typically, the next field you fill out is the name of the customer. This might also include the address and contact information of said customer. After the customer’s details, the amount that was paid is stated both in words and in numbers. Balances may also be stated if the customer made a partial payment. The next one is the description of the products that were availed. This will include the quantity, the name of the product, the price of the product per unit, and the total. This is usually in sheet format. Lastly, a field dedicated for the customer’s signature is also included. This denotes that the deal is now closed. Why Use the Cash Sale Receipt Samples? There are seven Free Printable Receipts to choose from. They are already formatted and outlined correctly to ensure that all the necessary details are collected. The sample receipts are directly available in this article. This means that you can just download the samples directly from this article. We promise you, you will never be directed to another website once you click on the DOWNLOAD button. There are two file formats available: (1) PDF, which is a great file format to use as a guide, and (2) Word Document, which is great to use for when you do not want to make a cash sale receipt from scratch. Both file formats are readily compatible with a lot of devices nowadays. All of the sample receipts can be downloaded for free. No need to worry about paying fees for high-quality samples. 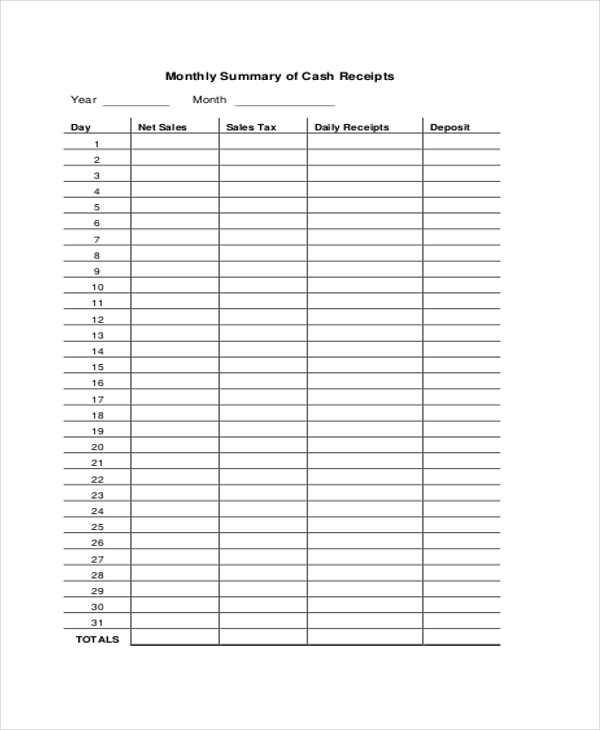 Companies, both big and small, can create their very own sales receipts with the help of the templates available in this article. They are very handy and can be conveniently downloaded. 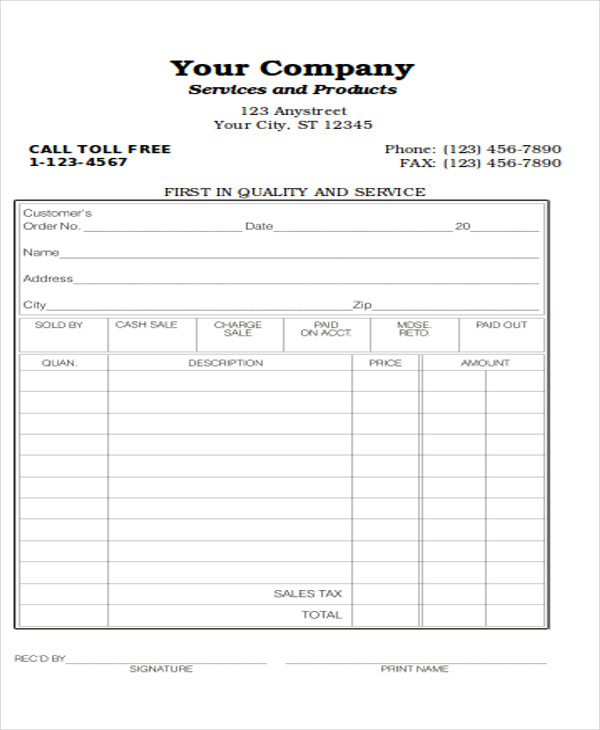 Once you have a sales receipts sample ready, it can be easily altered to fit the needs of the company. This is going to help you save time and effort in making one.